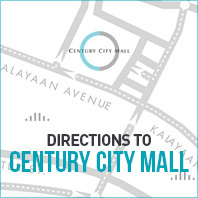 Welcome to Century City Mall – the mall of modern Makati. Located in Century City, Makati, Century City Mall is a remarkable, world-class shopping and entertainment complex with a vibrant range of shops, services, and restaurants – and the most cutting-edge cinemas in Metro Manila! 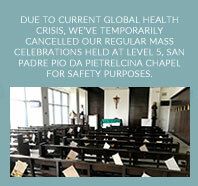 Learn more about the mall and our regular activities. Check out the shops and dining options. Or go right ahead and book a ticket at one of our cinemas. And should you have any questions or concerns, speak to our super-friendly concierge team – they exist to make your mall visit a superior experience!